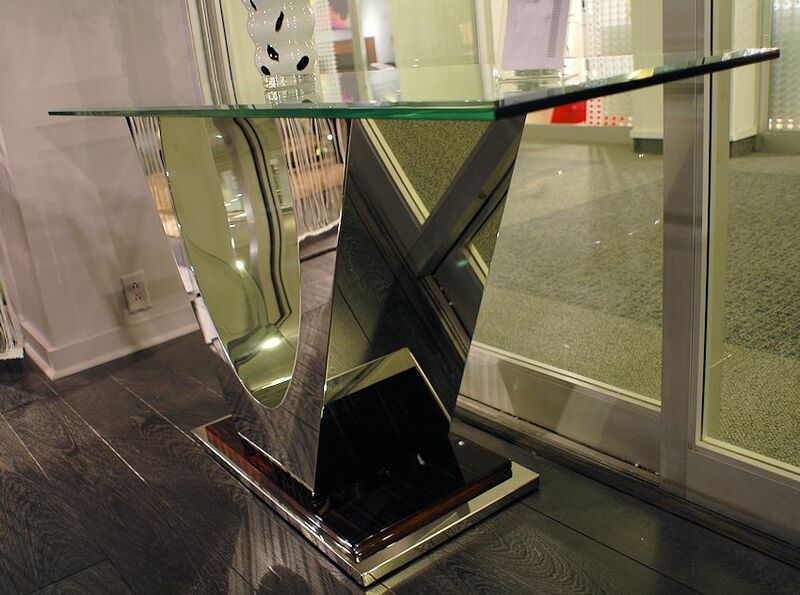 CO-525 console table offers polished stainless steel and ebony wood base on steel. $ 1,795 - CO-503 Evolution console table in Burl wood and polished stainless steel is off the charts in appeal and quality . $ 2,195 - DT-503 Evolution 60" Round Dining table. 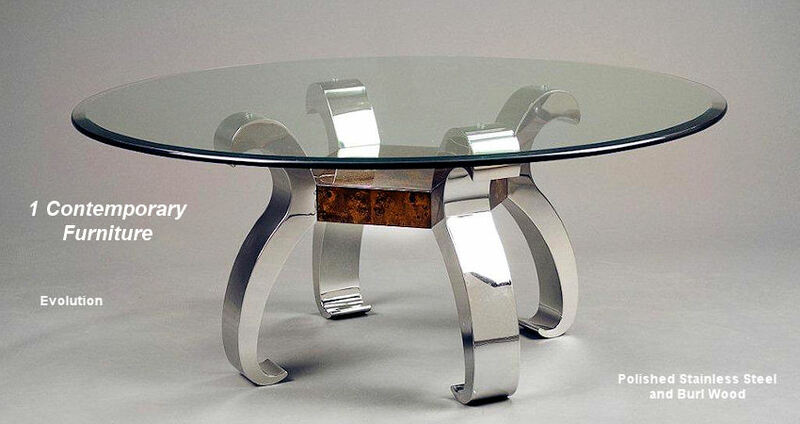 Evolution offers this extraordinary dining table made of polished stainless steel and burl wood. 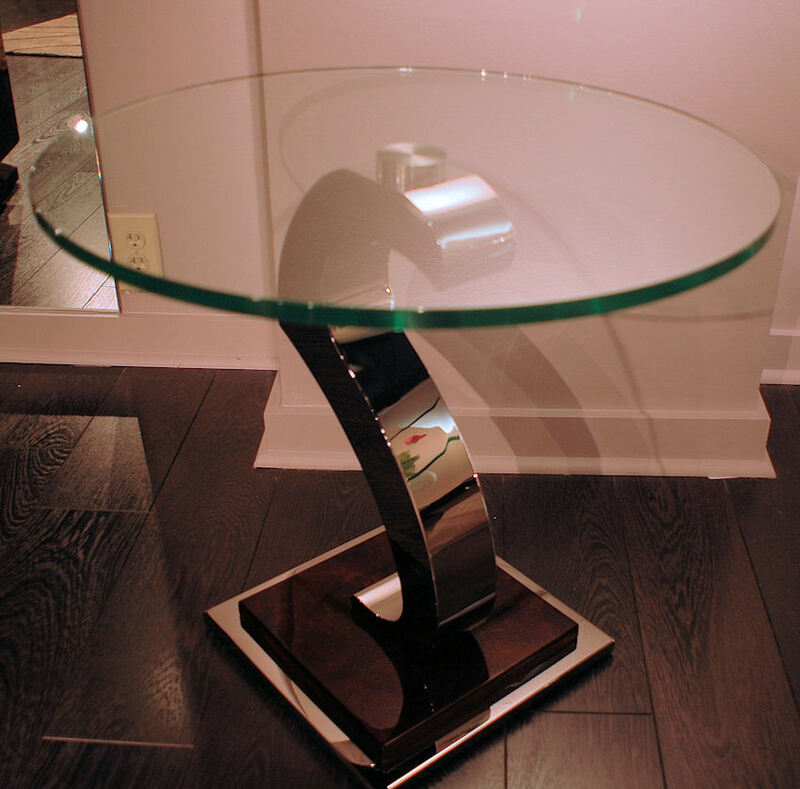 ET-503 End table featuring a beautiful burl wood and polished stainless steel base. 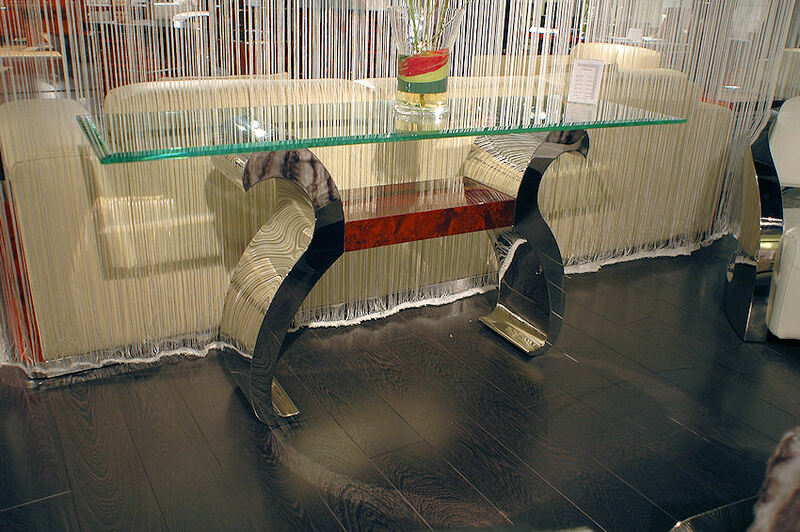 Quality luxury furniture from Asia.